Ars nova is the medieval Latin name for the "new music" of the 14th century. A supernova is a short bright flash of light from a star, caused by an explosion which eventually destroys it. It can be percieved on Earth only when it no longer exists. 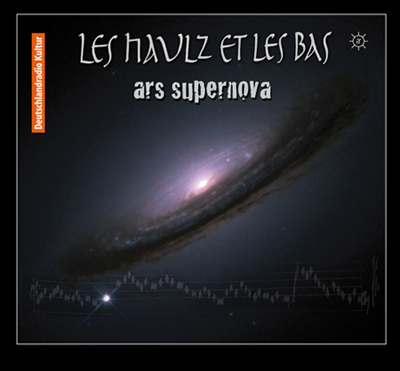 In ars supernova, LES HAULT ET LES BAS celebrates seven centuries of wind bands and the exchange of material between early music and jazz. These two "universes" share unexpected harmonies, the freedom to improvise, "groove" and the joy and melancholy of life. In this project the ensemble's shawms (predecessors of the oboe and the saxophone), slide trumpet, sackbut, bagpipes, cornett and serpent join for the first time with modern instruments such as tuba, saxophone, trombone, percussion and guitar. 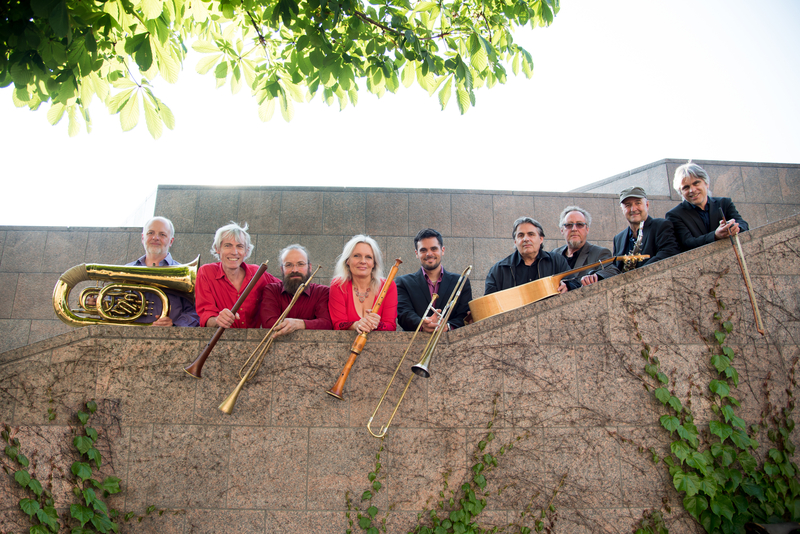 The international prizewinning ensemble LES HAULT ET LES BAS offer proof that the saxophone is the ideal instrument for the 14th-century ars nova and that the medieval shawm hass just the sound that jazz has been waiting for. In ars supernova a star-studded cast presents old and new music in new and beautiful arrangements with breathtaking improvisations. 'New directions for early music' - Les haulz et les bas won a CD production with the German national radio station Deutschlandradio Kultur.